Displacing the State makes two important contributions to the study of religion, conflict, and peace building. First, it shows how peace is conceptualised and negotiated in daily life, often in ways that are counterintuitive and anything but peaceful. 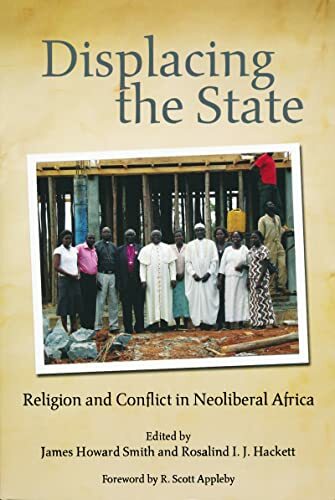 Second, the volume uses African case studies to confront assumptions about the nature of the relationships among religion, conflict, and peace. James Howard Smith is associate professor of anthropology at the University of California, Davis. Rosalind I. J. Hackett is professor of religous studies at the University of Tennessee, Knoxville. CONTRIBUTORS: Rosalind I. J. Hackett, Abasi Kiyimba, Isabel Mukonyora, Charles Shaefer, James Howard Smith, Asonzeh F.-H. Ukah, Koen Vlassenroot, Grace Nyatugah Wamue-Ngare.